Enjoy this clip of Ray from the documentary about L.A. legendary Babe & Ricky's Blues Club. Review the line-up of incredible artists below that MADCatfish hooked to perform at our kick-off in 2015! More to come in 2017! This Ypsilanti, Michigan native has become synonymous with blues to millions in Southern CA and around the world. Barbara is a multiple Grammy Award-nominated Vocalist and founder of The Barbara Morrison Performing Arts Center in Los Angeles, CA. She recorded her first appearance on radio in Detroit at the age of 10. 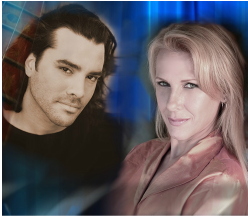 Well known in the Los Angeles area for her duo and trio dates Morrison also tours extensively across the Continental United States, Western Europe the Far East. Over the years she has performed with a virtual “Who’s Who” of the Jazz and the Blues worlds. That list includes legends like: Dizzy Gillespie, Ray Charles, James Moody, Ron Carter, Etta James, Esther Phillips, David T. Walker, Jimmy Smith, Johnny Otis, Dr. John, Kenny Burrell, Terence Blanchard, Joe Sample, Cedar Walton, Nancy Wilson, Mel Tormé, Joe Williams, Tony Bennett and Keb’ Mo. She has also been featured vocalist with the Count Basie Orchestra, the Clayton-Hamilton Orchestra and Doc Severinsen’s Big Band. Morrison has been featured on over 20 recordings and is an Associate Professor of Jazz Studies in the Ethnomusicology Department at UCLA. In addition to her multiple solo recordings, fans have experienced the pleasure of Morrison's rich and vibrant tones on such notable film and television appearances as: The Hurricane (starring Denzel Washington), Goin’ Home: A Tribute to Duke Ellington and Johnny Otis’s CD “Ooo Shoo Be Dooo.” She has also appeared on the hit NBC-TV comedy, The Naked Truth, The Tonight Show with Jay Leno and The Dennis Miller Show. Morrison also performs at renowned Blues and Jazz Festivals around the world, including appearance at Montreaux, Nice, Pori, Carnegie Hall, North Sea, Monterey and Long Beach. She also frequently performs her Salute to Dizzy Gillespie and Tribute to Benny Golson. To learn more about Barbara Morrison and The Barbara Morrison Performing Arts Center, please visit the website, www.barbaramorrison.com. Click here to enjoy a clip as she personifies the iconic Dinah Washington in a production of "I Wanna Be Loved" at the Barbara Morrison Performing Arts Center in Los Angeles. Ray Bailey enjoys the status among his peers as nothing less than Los Angeles Blues Royalty. When this blues man starts playing his guitar, everyone within earshot understands why he's known as "L.A.'s Blues Virtuoso". At age 15 Ray Bailey started hanging around Laura “Mama” Gross’ legendary Blues club, Babe's & Ricky's Inn, located at 53rd Street and Central Avenue. Although too young to be inside, he was befriended by Laura in what would become a lifelong relationship. Through her he got his first paying gig, working for Blues legend Lowell Fulsom as a sideman. For the next 15 years Bailey worked with a veritable who’s who of West Coast Bluesmen: Smokey Wilson, Phillip Walker, Sonny Green, and others. Working for local organ player Jimmy Caravan he started to sing as well as learn how to front a band. Here's a taste of what you can expect - all ears were tuned in when he took the stage at the 2012 Watts Festival in his hometown to take on one of many songs made popular by B.B. King - Enjoy a clip of Ray throwing down licks and lyrics on "Why I Sing the Blues." Leslie Baker started earning her blues credentials on her home turf of Los Angeles many years ago while performing with the likes of Willie Dixon, Harmonica Fats, Barbara Morrison, Linda Hopkins and others. 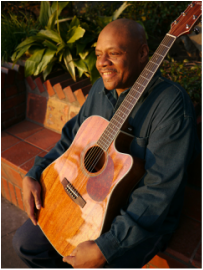 Leslie Baker is counted among the respected blues pillars in Southern Cali, having spent 16 years playing with bluesman Floyd Dixon. This accomplished bandleader takes the stage to share her talents playing original compositions and blues standards. Song stylist and “Jazz Living Legend” award recipient Marguaret Love will join the band to add even more spice to close their set. The band is comprised of Doug Legacy, John David and Gary Ferguson. The Delgado Brothers have drawn on the rich cultural inspiration of East LA to establish a reputation as the tripartite Delgado siblings Bob, Joey D and Steve, who are joined by David B. Kelly on the Hammond B3. This family band was way ahead of the curve with producing their own music, free to create music that spoke to them and their audiences – resulting in a style and reputation that has delivered blues satisfaction from stages a local blues clubs, to opening at the famous Greek Theatre nestled in Griffith Park in Los Angeles. Jay Jackson is a featured guest vocalist who will join Barbara Morrison to share his talents with the audience. Jay is a familiar face to millions from years as an actor on top rated shows like ABC's Scandal where he plays a news anchor, as well as appearing as a regular during 32 episodes of NBC's Parks and Recreation from 2009 until its farewell season this year. At the same time, he has been making his mark as a respected jazz vocalist on the jazz and blues scene, with regular performances with Barbara Morrison and at L.A.'s jazz venues such as The Vino Jazz Festival, NOLA's, Red, White and Bluezz and the Hollywood Studio Bar and Grille. Jay was trained at the prestigious LoDuca Brothers Music Academy in Milwaukee, Wisconsin. He is gaining ground as a respected jazz historian, with his repertory of knowledge about jazz vocal history. He's always proud to share that he has been a life-long Green Bay Packers fan. Cornelius "Corny" Mims has a professional resume that would fill an entire encyclopedia with the list of bands and artists that feature him on bass. His mastery of genres has kept him on tour, in the studio and on stages around the world performing with a diverse range of recording artists, including Jerry Butler, Patti Austin, Michael Jackson, Tavares, George Howard, The Four Tops, Amerasian Blues, Paul Jackson, Jr., Ray Parker, Jr. and many, many more. Corny and his band "The kNOW-IT-ALLz" will deliver a soulful brand of unforgettable blues. Marguaret Love is the featured vocalist with Leslie Baker, and the headliner for Saturday night's After-Hours Juke Joint. This blues diva is running out of room to display a growing number of awards that attest to her accomplishments in the music industry. In recent years, she has been lauded with several Living Legend Awards, from Los Angeles Mayor, Eric Garcetti, the Beverly Hills/Hollywood NAACP and the L.A. City Council in conjunction with the Jazzabration® Living Legend Foundation. Her career is dotted by performances and collaborations with numerous iconic recording artists, including Percy Mayfield, Bobby “Blue” Bland and Tina Turner. She has graced the stage on Bob Hope’s USO Tour and travelled abroad to perform in places like Canada, Australia and New Zealand. From the Palm Spring Women In Jazz Festival, to the Instrumental Women Lady Jazz Concert Series at the Ford Amphitheatre. Margaret Love will place the final accent on Saturday’s performances as the featured blues vocalist at the After-Hours Juke Joint. Everyone in attendance will understand why she was recognized as L.A.’s Best Blues Singer in 2008. ﻿Richard Cameron Lovely is making his blues festival debut and we’re elated to serve as the platform to introduce one of Southern Cali’s newest young musicians in-training. This youngster has a range of interests, but he’s serious when it comes to his music studies, excelling in piano. He has performed a numerous events in the Greater LA area and recently earned his Gold Pin at the National Auditions in Piano facilitated by The Piano Guild, a division of the American College of Musicians based in Austin, TX. He’s had a busy summer after graduating from Ambler Elementary and Gifted Magnet School. Richard Cameron Lovely excels in the area of academics, but also enjoys just being a kid. He put in the necessary time and effort to earned all outstanding evaluations on the Annual California Certificate of Merit Examinations and is already an accomplished public speaker. Somehow he still finds time to enjoy a little leisurely reading when he’s not busy shooting hoops or keeping his skill up to par playing video games. was the lead singer in Jerry Butler's backup group and recorded several singles with Butler, the first, "Ain't Understanding Mellow." This song attained and #3 on the Billboard R&B chart, sold over 1 million copies and was awarded a gold disc. She also had hits as a solo artist and worked as a backup singer for music legends like Ray Charles, Mavis Staples, Diana Ross, Stevie Wonder. She has also written hit songs recorded by the Staples Singers, Aretha Franklin, Shirley Brown, Prince and others. This prolific song writer worked constantly with Ray Charles during the last 12 years of his life. This Mobile, Alabama native has earned her place in music history, as well as a place in the hearts of millions of fans with her lyrical talents. has toured and performed with Frankie Beverly & Maze, Ronnie Laws, Al Jarreau and was a member of the legendary group Hiroshima. aka "Kenny San" toured for more than a decade with the late, great Lou Rawls and played with Natalie Cole, Aretha Franklin, Stevie Wonder and many other music legends. is an industry favorite, with a playing style inspired by Larry Graham, Stanley Clark, Verdine White and the funk of Bootsy Collins. Sunnie Paxson has mastered the full tapestry of musical genres as a pianist, keyboardist, composer, producer and music educator. More recognized as a contemporary and straight-ahead jazz artist as a result of a high-profile touring history and recordings with legendary jazz bassist Stanley Clarke, Sunnie’s first CD resulted in her being voted as one of “Los Angeles’ Best Jazz Performers” by L.A. Magazine. Her last album, Bohemian Sun, features a soulful gospel song entitled, “Say A Prayer,” an original composition that features vocal artist Rod Maurice and a choir. It provides a small glimpse of her mastery of the blues that sits at the base of jazz and the extended branches of this American music form. has an extensive list of credits that reflects his status as a heavy-weight in the entertainment industry. This premiere percussionist is an equally talented vocalist. He has performed with Kenny Loggins, Tracy Chapmen and a lengthy roster of award-winning recording artists. He has also been spotted on the big screen a few times in movies, including "Meet the Fockers", "Pretty in Pink" and "Marked For Death". is recognized internationally as one of the most inventive, volcanic and versatile drummers in music, with performance credits with iconic artists that have included Jean-Luc Ponty, The Stanley Clarke Band, George Duke, Dave Koz, Anita Baker and Michael Jackson. He credits the drum solos of Art Blakey and Max Roach that he heard on albums by his late uncle, trumpeter Clifford Brown, that lured him to the drums. has a colorful history from his days as a breakdancer in his hometown of New York as a teen. He picked up the bass at age 15, and by age 19, had his first gold record. He plays electric bass, double bass, clarinet, guitar and piano and has recorded and performed with Quincy Jones, Ray Charles, Will Downing, Lalah Hathaway, George Benson, Liza Minnelli, Luther Vandross, Michael Jackson, Roger Daltry, Paul Anka, Anita Baker, Wayne Shorter and others. Francesca Capasso (Lead/Background Vocals/Percussion) is the daughter of a Mexican-American (Tex-Mex) mother and an Italian-American father. Capasso has been performing since the age of two. By the age of 11, while living in Puerto Rico, she did her first television commercial, studio recordings and live gigs there. Upon graduating from high school in Houston, TX, she sat in with greats like Sam Andrew (Big Brother and The Holding Company) and Buddy Miles. Shortly thereafter she landed a gig singing background for Sixties Motwon Artist, Bobby Taylor of Bobby Taylor and The Vancouvers. In 1994 she performed on an ALL STAR USO show on the USS CARL VINSON in the Pacific Ocean. Eventually Capasso formed her own Blues Rock Band, Francesca and The Flames, which was voted by Music Connection magazine as one of the Top 100 Unsigned Bands. Capasso can be heard on the house dance single, “Been To The Mountain” on the Pride 2000 CD released by Centaur Entertainment in New York. A four-year breast cancer survivor, Capasso was interviewed on NBC Nightly News about her participation in The Avon Cares For Live Breast Cancer Navigational Program in October 2010. She has worked with top notch musicians such as Drum Legends, Carmine Appice and Hal Blaine, Grammy Awardâ winning Producer/Drummer, Tony Braunegal, Vail Johnson (Bass for Kenny G), Jimmy Haslip (Bass for The Yellow Jackets) as well as Actor/Singer Branscombe Richmond and German Actor/Singer Reiner Schone. She has opened for: Robben Ford, Joe Cocker, The Funky Meters, Kenny Wayne Shepard, Johnny Winter, Blues Legends, Sugar Pie Desanto and Barbara Morrison, The Little River Band, The Fabulous Thunderbirds, and Vince Neil. She appeared in the Showtime series, “Shameless” on February 6, 2011 as a featured background actress in a cancer support group. 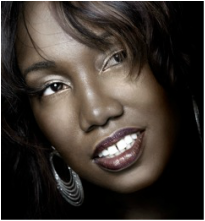 Alicia Morgan (Lead/Background Vocals/Keyboards) is a New York-born and Florida-raised artist. She taught herself to play the piano at age nine, beginning a lifelong addiction to which there seems to be no cure. She began her working music career while in high school (where she was selected for the prestigious Florida All-State Sight-Reading Choir both times she auditioned, and was ranked in the top ten alto sight-readers in the state for those years) and has been a professional singer, keyboard player and songwriter ever since. In the King Brothers Circus, she learned (as all women do in the circus) to perform on the ‘web,’ the long white ropes that hang from the ceiling of the tent. Morgan also worked in the sideshow, where she was a fire-eater, Serpentina the Snake Woman and the India-Rubber Girl. Returning to music, she moved to the West Coast, where she worked as a session singer. Noted for her raspy blues style, Morgan’s credits include recording and/or performing with such artists as Al Wilson, Delaney Bramlett, Bobby Womack, Sally Kellerman, Kevin Murphy (of Rufus), Don & Dewey, Klymaxx, Billy Vera & The Beaters, The Nelsons, Táta Vega, King Ernest, Peter Tork, Micky Dolenz and Chuck Negron. Her TV experience includes Roseanne, The Jeff Foxworthy Show, The Naked Truth, Almost Perfect, Phenom, and Sibs. She has had original songs in the feature films “Beyond Desire” and Tom Arnold’s “Barhopping,” and was the singing voice for Caroline Rhea in the Disney movie “Mom’s Got a Date With A Vampire.” Alicia Morgan’s keyboard work was nominated for a 2010 Grammy Awardâ for music from the movie “Love n’ Dancing.” Morgan has been in the studio with legendary producer Richard Perry, playing keyboards on the Rod Stewart album, “Fly Me to the Moon…The Great American Songbook Volume V.” Of late, she has been indulging her love for big band jazz, playing with the Jimmy McConnell Jazz Orchestra, along with her tenor player son Sam Morgan. Alicia Morgan produces and records in her own studio and has received an Addy advertising award for vocals and engineering. She is the proud possessor of a beautiful 1964 Hammond A-102 and a 1961 251 Leslie. She taught voice, keyboards and computer recording at the Musicians Institute in Hollywood from 2005-2010, and now teaches privately. Check out the Saturday Nite Juke Joint Line-Up!